Help volunteer-based mentoring, tutoring programs grow in Chicago and other cities. Since 2000 we have created a library of videos and pdf presentations that you can use to support discussions in your own community and network that support the growth of mentor-rich youth programs in your community. Click here to browse the library. Click here to view videos. THANK YOU TO ALL WHO PARTICIPATED IN 1994-2015 CONFERENCES. WATCH FOR INFO ON NEXT. Knowing who is participating, and how often, can help leaders of movements build coalitions that tackle complex problems. 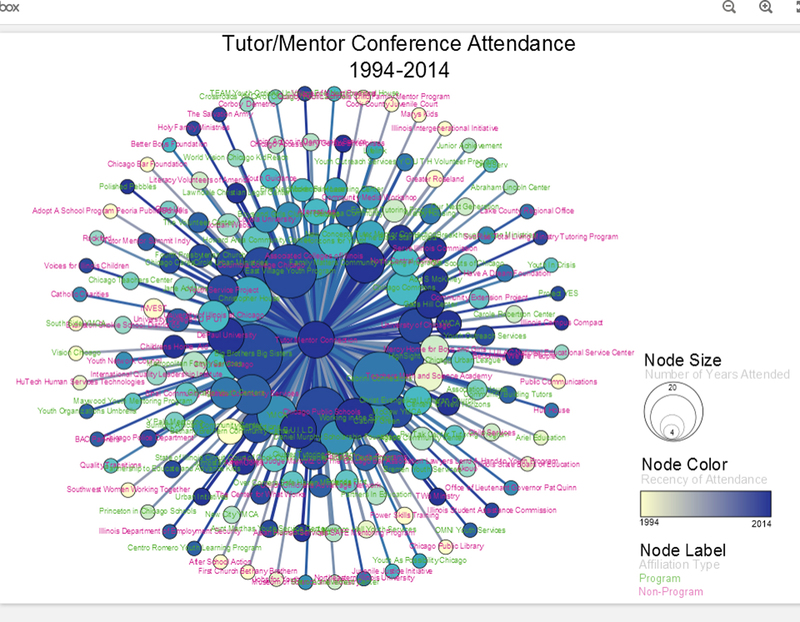 Read about work interns are doing to help Tutor/Mentor Institute, LLC understand conference participation. Click here. New Partners & Sponsors Needed to Re-Launch the Conferences. Become a Sponsor/Donor. Add your support.